Boyds Mills Press, 9781629799407, 192pp. 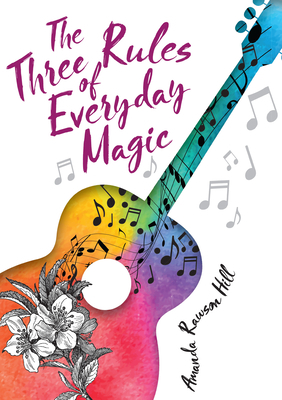 Magic doesn't work the way you think it will, but it's what Kate needs as she confronts friendship trouble, her parents' divorce, and Grammy's dementia in this lyrical middle-grade coming-of-age novel for fans of Half a Chance and The Same Stuff as Stars. Kate has trouble believing in magic, especially since the people she loves keep leaving her. But when Grammy tells her the three rules of everyday magic--believe, give, and trust--Kate can't resist believing, at least a little. Following Grammy's advice, she tries to bring her father, her best friend, and even Grammy herself back to her. Nothing turns out as Kate expects, yet the magic of giving--of trusting that if you love and give, good things will happen, even if you don't see them happen--will change Kate and her family forever. Amanda Rawson Hill grew up in Rock Springs, Wyoming with a library right out her back gate. She moved to Provo, Utah, to earn her bachelor's degree in chemistry at Brigham Young University. Today she resides in Atwater, California with her husband and three children. She loves to knit, homeschool, make music, and volunteer in the community. The Three Rules of Everyday Magic is her first novel.